Secure and attractive doors are a key feature in any home and we offer a vast range of designs from traditional through to a contemporary, in either uPVC or Composite. All doors are draft proof, virtually maintenance free and will keep your home warm, quiet and secure without having to compromise on style. We also provide uPVC French Doors and Patio Doors, made to measure exclusively for you. We offer a huge variety of beautiful and elegant double glazed uPVC doors. We take great pride in helping you choose the right external uPVC door and double glazing for your home. You can choose from various colours and plenty of varying styles. If you do decide to incorporate one or more glass panels then we have a variety of double glazed glass options to suit you - from georgian bars, bevelled glass and leaded patterns. Our Composite doors are rapidly becoming the preferred choice of exterior doors which can be used as a front door or back door and will leave you with more time to enjoy your home rather than continually maintaining it. 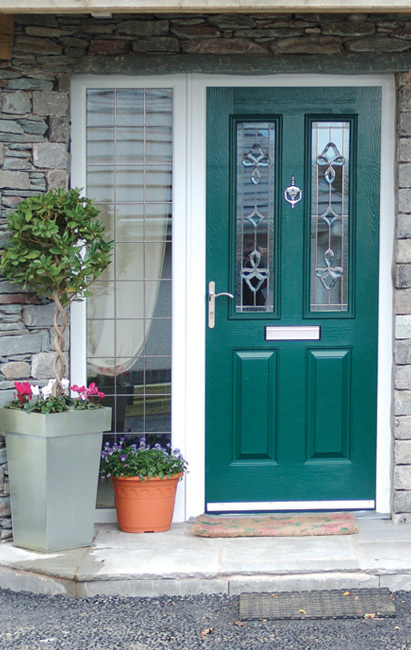 Extremely attractive, strong and durable, combining the best elements of plastic and glass into one hard-wearing door. Water and weatherproof; Composite doors will never warp or twist. Made to measure and available in a range of styles and colours. Built to last with a 10 year guarantee on materials and craftsmanship. Virtually maintenance-free, no need to repaint! For more information about our attractive, highly secure and virtually maintenance free doors, and to book a free, no obligation quote, call us on 01535 681800.